Address: 603134 Nizhny Novgorod, Kostina St., 2, off.162. Zapovednik Kerzhensky in Borsky and Semenovsky Districts of the of Nizhny Novgorod Region, was established in 1993. Its area is 46,9 thousand ha. 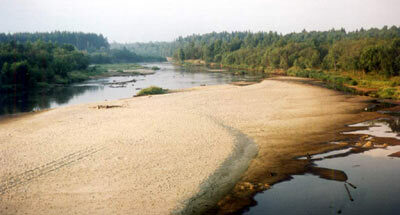 The Zapovednik is situated in the middle reaches of the Kerzhenets River, left tributary of the Volga River. The plant cover comprises south-taiga coniferous forests (pine forests with lichen and green-moss, and spruces forests in the valleys) and sub-taiga coniferous-broad-leaved forests. There are sites of steppe plots. Peat bogs are numerous (about 5 thousand ha). A combination of taiga elements with southern oak forests is characteristic. 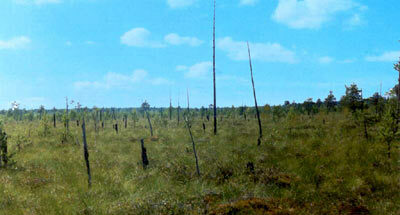 The woodland covers 40.9 thousand ha; meadows — 339 ha; water bodies — 123 ha. The rare plants to be found are pasqueflower, baby's breath, Dianthus borbasii, Centaurea sumensis, hyssop-leaved dragon's head, etc. The constant dwellers are the brown bear, wolf, marten, polecat, ermine; mink, lynx, beaver, capercaillie, hazel hen, black grouse, willow grouse. Among rare and endangered species are the desman, black stork, golden eagle, peregrine, osprey. There are historical sites of Raskolnik (schismatic) settlements and hermitages. 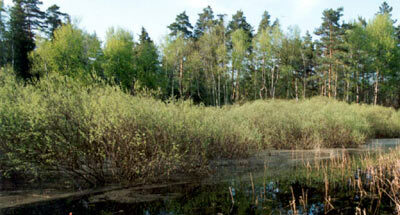 The Zapovednik is on the List of Wetlands of International Significance.